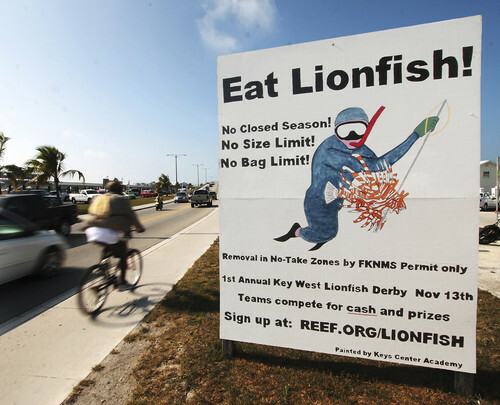 Florida has stepped up its game in recent months, in an effort to combat their serious problem with invasive lionfish. 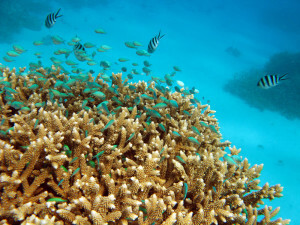 Some of which has a direct impact on the aquarium hobby in the state of Florida. In what seems like a very short amount of time, the problem has gone from rumors and possible sightings, to a full out invasion. 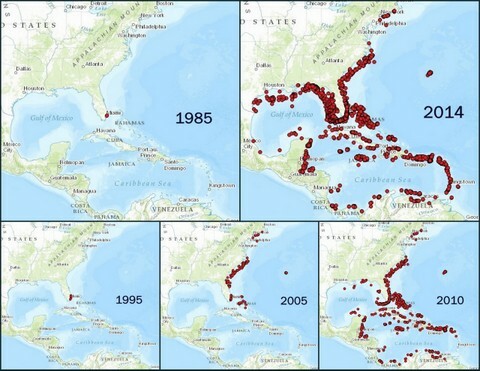 Lionfish populations have exploded and now are affecting the entire state of Florida, and neighboring areas of the Caribbean, Gulf of Mexico and The U.S. East Coast. It has only taken about 30 years for these predators to establish themselves, and spread like wildfire. In a unanimous vote by the commissioners of the Florida Fish and Wildlife Conservation Commission, the State has adopted several measures to help fight against the invasive fish. Complete import ban of all Pterios genus Lionfish into the state of Florida. No more mail order lionfish, and no more imported lionfish in Florida pet stores. Divers are authorized to use rebreathers, in the capture and harvest of Lionfish. 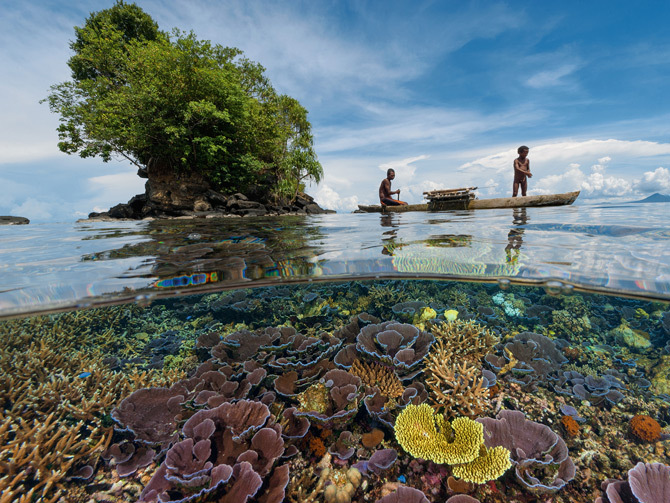 This enables divers to dive longer, deeper and quieter while hunting lionfish. Use of rebreathers is otherwise prohibited for spear fishing in Florida. Authorizes the Executive Director to issue permits for spear fishing tournament in waters that would otherwise be off limits to spear fishing. These new regulations will go into Effect on Aug 1, 2014. Already in place in the state of Florida are regulations that promote and encourage fisherman to hunt and remove Lionfish, which is the only viable option for hoping to control their growth. There are no minimum size limits, closed seasons or bag limits for recreational or commercial harvest, and a recreational fishing license is not required to harvest lionfish when using dip nets, pole spears, Hawaiian slings or any spearing device designed and marketed exclusively for lionfish. 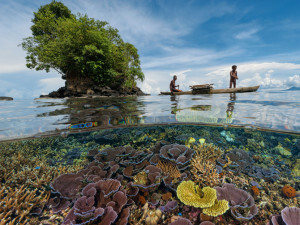 Try a new adventure, and get involved with efforts to remove lionfish. Fishing Tournaments, charter fishing, or just recreational fishing is both fun and can serve a good purpose as well. It’s FINALLY starting to warm up around here as May has arrived, but the great content hasn’t slowed down one bit. Below, are some of the top blogs, aquarium content, and general cool fish stuff we’ve seen over the last month. Please let us know what you think – or shoot us an email at marinebioblog@thatpetplace.com for items you’d like to see next month! Ahh the siphon! We speak to new aquarists ALL THE TIME here – and we’re always recommending water changes as basic aquarium maintenance 101. We are also BIG fans of fish acclimation. So logically, why wouldn’t we write a guide on how to actually get a siphon started? Our fish experts put their heads together for this one, including some cool animated .gifs. Each day, we get lots of questions from aquarists of all types and skill levels. These lighting charts are designed to show aquarists precisely which options they have for any freshwater fish tank, freshwater planted tank, reef aquarium, or saltwater fish only. You can match your tank’s dimensions to light fixtures your tank could support; while achieving the output you require. 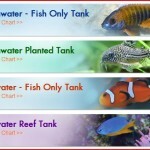 Simple, cut and dry charts to choose a light fixture for your tank. I love this topic, and frankly, I wish we would’ve written this article. EVERY aquarist is constantly on the lookout for organic ways to take out the ever-present algae buildup. This short write-up gives you a sense of which Blennies are algae gobblers. As if you needed another excuse to add an adorable Blenny..
Let us know what you think – and please send us any articles you think should be included in the monthly run-down. Guppy Love: Hanging with Unattractive Buddies Makes You Look Better! A fascinating study at the University of Western Australia has shown that male Guppies (Poecilia reticulata) specifically choose drab-colored “friends” in order to improve their own attractiveness to females. What’s more, the behavior is not instinctive, but rather seems to be learned through experience (via “broken hearts”, I wonder!). This is the first time that any animal has been shown to choose a social group based upon the physical attractiveness of its members. Female Guppies choose mates based on the brightness of their coloration, with orange being most favored. Researchers presented male Guppies with the choice of 2 groups with which to associate. One group was comprised of a female and numerous drab-colored males, the other a female and attractive males (orange spots covering more than 20% of their bodies). The test males chose to associate with the drab-colored group. Drab test males were more likely to pay attention to the attractiveness of their male associates. Very attractive male Guppies, it seems, need not worry about such details, as they were “confident” of their abilities to attract a mate regardless of the competition! The study, published in the Proceedings of the Royal Society B (V. 280, N. 1756), also confirmed what many aquarists have long suspected – fish can learn and profit from past experiences. Male Guppies raised in isolation from other males exhibited no preferences when given the choice of drab or colorful male associates. Researchers theorize that male Guppies learn to associate with drab companions based on their past mating successes…or failures, as the case may be! Please see the articles linked under “Further Reading” for more on fish intelligence. I’ve been able to observe the importance of male coloration in my own aquariums. I have long-established schools of “feeder” (wild type) Guppies in several tanks. Every so often I’ll add a large “fancy” male. Over the next several weeks, that male’s coloration, color patterns and/or fin structure will become very noticeable in the population, despite the fact that there may be 20-40 other males present. Please post your own observations below, thanks. American Bullfrogs exhibit a unique variation of this breeding strategy. Females select mates based upon the sound of the males’ calls, opting to hone in on those made by the largest males. Small males, who seem to know that they cannot attract a mate with their feeble songs, also listen for large males. Known as “satellite males”, the little fellows position themselves at the edge of a dominant male’s territory…far enough from him so as not to be attacked. From this location they attempt to latch onto females that are swimming in to consort with the larger male. If successful, the satellite male steers his prize away from the larger male’s territory, in hopes of fertilizing the eggs that she is carrying. Although such trickery seems a bit under-handed, it is a good example of the “brains over brawn” concept! It’s been a great month for Aquarium and Fish Content Across the Internet. Check out some of our favorites below and please feel free to post some of your favorites! We really liked this article – quick and to the point and it addresses one of the most fundamental things you have to think about BEFORE getting your tank up and running. There’s nothing scarier than a leaky aquarium: follow SaltwaterSmarts’ advice and keep that floor dry! 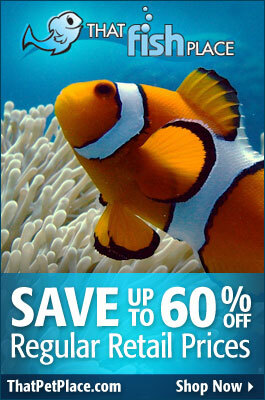 On a related note – we have an article on moving your aquarium which discusses some similar items. Our Aquatics and Fish Master Dave Acland is fed up with bad fish advice. From the classic ‘Inch per gallon’ rule to the idea that smaller fish tanks are better for new aquarists – Dave’s here to dispel these classic myths and misconceptions. Take a read. Lots of great reasons to go with gravel or bare-bottomed tanks – and Marine Biologist Eileen Daub goes through each one of them. Be sure to have a read before your set up your next tank! So, Zoologist Frank Indiviglio has kept lots of Goldfish in his day – OK..maybe thousands. This article runs down what he considers to be the best choices for goldfish tank filtration. Hint – Frank’s a little old school and he LOVES his undergravel filter for these guys. Find out why. Anyone with a reef tank LOVES them some new technology. Reefbuilders discusses how NextReef is looking into using 3D Printers for making customizable sumps and other aquarium pieces and parts. Talk about customizing your system!